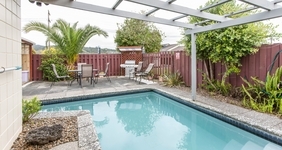 Refurbished affordable accommodation in a central Whangarei location - walking distance to Kensington Stadium, Kensington Hospital, Whangarei Turf and Mair Park walkway. Our studios, 1-bedroom units and 2-bedroom units have all been refurbished in the last couple of years and offer great value for money. 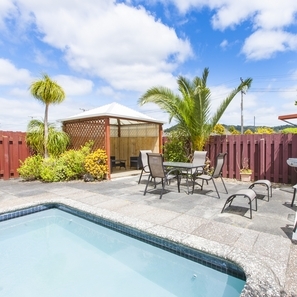 Enjoy our swimming pool and bbq area, FREE WIFI, local cafés and takeaway outlets - only a few steps from our Whangarei motel. 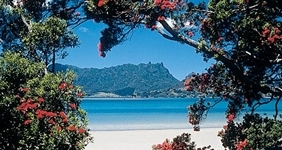 It is a short walk to the local supermarket, pharmacy and post office. There is plenty of parking on site and street parking for trucks and additional vehicles in the back street at the rear of the motel. We pride ourselves on offering some of the lowest prices in town whilst taking pride in the quality and cleanliness of our rooms. 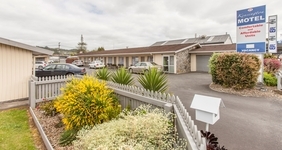 Kensington Motel has 13 spacious ground-floor units, which are serviced daily. The 8 1-bedroom and 2-bedroom units have fully-equipped kitchens. From SH1 turn right at Kensington Rd and turn right at the first set of traffic lights. We are on the right about 50m after the lights. Mair Park native bush and river walkway, playground and picnic area. Whangarei Falls (5min drive) - 26m waterfall, picnic area, native bush walk.